A winless road trip and the drawn-out Butler saga inspires Scott and guest host Robert to gauge where this season ranks amongst other bad years. Also, team stats after ten games, a new “chopping block” segment, Apple Valley, a limerick challenge and more. Wolvescast is sponsored this week by Crunch and Munch, Wolvescast Long Sleeve Shirts, Bernie Lee Injury Law and Canis Hoopus. 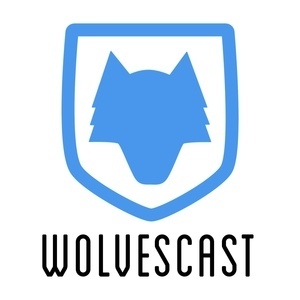 Another week of Timberwolves basketball means another Wolvescast podcast for your ears! Scott and guest host Robert talk about Derrick Rose scoring 50 points, Justin Patton’s declined option, and both of the new Wolves uniforms. Also they open up the mailbag to answer your questions, give away Wolfie awards and play a game. This episode of Wolvescast is sponsored by Butler University. After a week that featured four games in seven nights, Okogie making a name for himself, and a fresh Butler trade rumor from Woj, there is plenty to cover on this week’s show! Also we get into the improved bench production, give frigid cold takes, the death of Cherry Berry, a choose your own adventure game and more. Game one is in the books and somehow the Jimmy Butler saga continues to rumble along. Our new segment “As The Wolf Howls” analyzes the latest plot twists. Also, Glen Taylor in the media, new food at Target Center, home opener boo-birds, Flash Seats (sorta) gets an update, a game and more. These are trying times to be a Timberwolves fan. The franchise is a mess. The painful, prolonged Jimmy Butler saga continues to sap the joy out of a typically exciting time of the season. In lieu of a proper season preview show, (which we feel unable to produce prior to the inevitable Butler trade) we instead are happy to present something more lighthearted: Wolvescast Jeopardy! For the third straight year we’re kicking off the season by playing a round of the Trebek classic. Guest co-host Robert hosts another fantastic game pitting brothers against each other. Will Neil continue his dominance of year’s past, or will Scott finally break through and notch a win in the annual competition? Listen now and find out! The podcast is back with a Timberwolves midsummer check in! Lots has happened since we last talked into microphones. We chat about the roster additions via the draft and free agency. Also, possible contract extensions, Bjelica moments: ranked, ESPN Magazine’s Body issue, a game and more. This episode of Wolvescast is brought to you by Lynx Dynasty. The 2017-2018 Minnesota Timberwolves season has concluded and Wolvescast is here to put a bow on the first playoff series in 14 years. Also, the experience of attending a home playoff game, Glen Taylor’s recent comments in the media, also a round of “Worried/Not Worried”, Mike D’Antoni, a game a more. This episode of Wolvescast is brought to you by the Salt Lake City board of tourism. Bittersweet feelings abound this week as the Minnesota Timberwolves are in the playoffs, but performing rather poorly. Scott and guest co-host Robert break down the wide range of emotions that come with a first round series against the Houston Rockets. Also Towns and Butler struggling, a preview of games three and four, bone-chilling cold takes, love for Kevin Harlan, a limerick game and more. This episode of Wolvescast is brought to you by The Timberwolves Yearbook Committee.